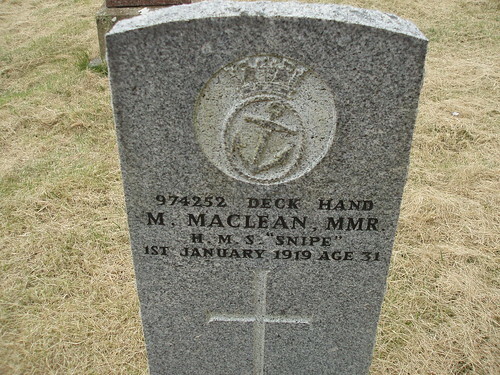 Son of Alexander and Marion Maclean, of 39, Lurebost, Lochs, Stornoway. Murdo appears in the 1891 census, aged 4, the son of Alexander (35) and Marion (32), and brother of Margaret (7). His brother Alex also served in the RNR, but survived the war. 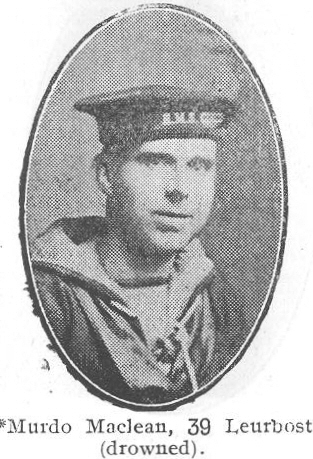 This site shows all the information and imagery that has been amassed about each of the nearly 1300 casualties from Lewis in the First World War. Copyright Guido Blokland. Simple theme. Powered by Blogger.